Our Swiss-trained watchmakers are experts at restoring watches to their original like-new condition. 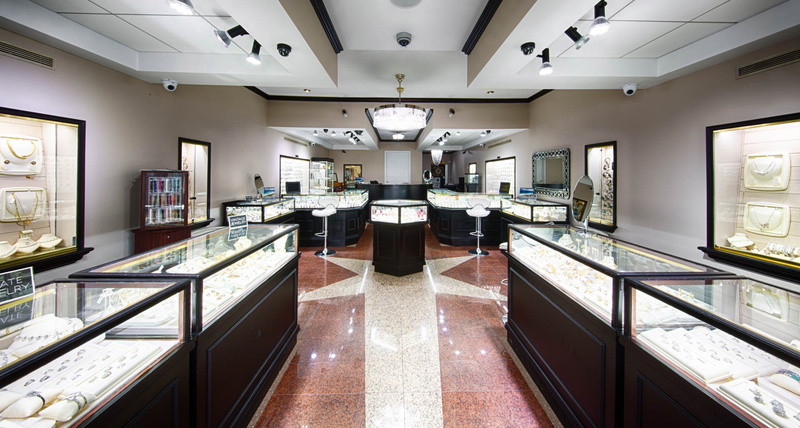 We are one of the preeminent locations for Miami watch repair - and around the world. With six in-house Swiss-trained watchmakers with over 150 years combined experience to handle all your watch repairs and service issues. If you have a watch that is not working as it once did, send it to us. You will be amazed at your new watch. Our Miami Beach showroom is located across from the world renowned Bal Harbour Shops, and we have been doing mail order business with customers around the country, and even around the world. If you are ever in the area please stop by, we would love to meet you. Keith is the company's primary international buyer and the visionary of Gray & Sons marketing. He is particularly proud of the team that he has helped train over the years to become specialists in this field. Having taken many seminars on personal & corporate effectiveness, Keith strives to keep his company on the cutting edge of this industry. He loves working, collaborating, doing restoration of watch bracelets/watch cases and doing what most jewelers/specialists would consider too difficult or impossible. Keith loves mechanical Swiss and USA made pocket and wristwatches. He likes the gears, the wheels, and under the hood experience working with his watch repair staff. "A Token of My Love"
After graduating in English at the University of Utah and taking specialized studies in advertising, Rich started working at Gray & Sons 14 years ago. Rich uses his experience in all aspects of international advertising, marketing & sales. Rich speaks both English & Spanish. "The watch that looks best on Rich's wrist is the Breitling Montbrillant - it is a great modern interpretation of a classic vintage style." From a young age Jackie has been involved in many sales environments. Here at Gray & Sons, she has grasped a vast knowledge of complicated timepieces and estate jewelry and has grown to appreciate and love them all. Jackie speaks both Spanish & English. "Jackie loves her Rolex Pepsi bezel GMT Master, because like her, it is highly coveted, desired and considered to be an "investment" timepiece." One of our favorite employees at Gray & Sons comes to us with a wealth of knowledge & experience in the repair & restoration of fine Swiss timepieces. Joe Cerullo is a Certified Master Watch & Clock Maker and past President of the American Watch & Clock Makers Institute. He is a gold medal graduate and a micro-lathe expert from W.O.S.T.E.P. in Switzerland and has 35 years of experience restoring high-grade complicated watches and has worked with most of the big Swiss watch manufacturers including Rolex, Audemars Piguet, Piaget, Cartier, Corum, Breguet, and Girard Perregaux. Joe is a great addition to our service team that ensures all our Certified Preowned watches function and look the best they possibly can. Claudine, born in Paris France, has worked for Gray & Sons in various capacities for over 20 years. She has an excellent knowledge of antique and estate jewelry, sterling silver, and watches. Besides showroom and phone sales, Claudine also manages our online auctions. Claudine speaks English, French & Spanish. Junior has worked at Gray & Sons for over 25 years. Over his years as a watchmaker Junior has fixed or serviced thousands of fine watches. Junior learned the trade of watchmaking in his native Jamaica from his father, he also spent three years in Switzerland getting additional training. Junior has been supervising and training along with Keith Gray all facets of jewelry and watch service & quality control. He has helped give Gray & Sons a definitive advantage over the competition - in fact many authorized and factory service centers have used Mr. Whyte's staff to repair, polish, detail & restore their fine products to new showroom condition. Viktoria has completed her Master Degree in Law from University of Belarus and is currently residing in Hallandale, Florida. Viktoria is educated in Great Britain and fluent in English and Russian. She also finished 5 years Art school and was nominated as the best drawing artist in a Japanese drawing competition. "Viktoria is in love with extraordinary and vintage-inspired jewelry which she finds in estate worlds of Gray and Sons house collection. Jewelry to her is a lifelong love affair and talismans of her journey through life." Natalia is a wonderful addition to G&S team. She has a bachellor degree in Economics from Saint-Petersburg, Russia. She loves watches and jewelry and works in sales and quality control. Her out of work time is spent loving her 2 children. "Natalia doesn't imagine her life without jewelry, it has become a part of her life. She loves to work, to live and enjoy the beauty of precious stones and metals, vintage and modern watches, each of them is a piece of art." Originally from Poland, Margaret is the newest member of the Gray & Sons Marketing Team. She uses her experiences to branding, responsive Web design and printing design. Margaret combined her formidable skills and experience with a willingness to listen to our needs and concerns and respond accordingly. She was engaged with the website and catalog redesign project where she shows a highly organized and time management skills. She redesigns Gray & Sons website and catalog from start to finish. "She loves Patek Philippe for its quality, style and amazing history." Originally from New York, Laurie works in our accounting department as a bookkeeper. Laurie has over 15 years experience in accounting, and is well versed in event planning & logistics. Although she has never worked in the jewelry field prior to joining the team at Gray & Sons, she is eager to learn everything she can about such an exciting industry. Maximilian Stalmach Gray is the son of the owner, Keith Gray. He has been working at the store since the tender age of 13 and has grown up in the business. He went to Immaculata La Salle High School in Coconut Grove for the first three years of high school. The following year, he transferred to Riverside Military Academy located in Gainesville, Georgia, where he graduated from. This introduction to the military life led him to enlist in the United States Army Reserve. He has attained the rank of Specialist and is currently stationed at the 344th Sapper Engineer Company. He is also a full time student at Florida State University where he is in ROTC and pursuing a degree in Chemistry. He is fluent in Polish, intermediate in Spanish, and has a strong interest in world history. Born in the capital of Mexico and raised in Miami Beach Florida, Samantha has always been fascinated by the warm climate and luxurious atmosphere that Miami has to offer. About one year ago, she was introduced to Gray and Sons as a Miami Beach Senior High graduate in the early summer of 2017 with no initial job experience. It has been an amazing educational experience for her to be immersed in the world of luxury watches and pristine jewelry. Former Cross Country running competitor for her high school, she knows about dedication, hard work, and consistency. Now a Miami Dade College student, she plans to pursue a life as an attorney, particularly intrigued by the employment law department. She knows she will reach her dreams and one day help others in the work force. Samantha has learned the front and back end of the company to its core. Her tasks are helping sales-representatives, the shipping department, the repair department, customer service, inventory control , and stock and customer repairs . She knows how important it is to listen to instructions to ensure proper execution of the tasks that are at hand. Samantha is fluent in English and Spanish. One of her main passions is being able to communicate with other people and strives to ensure the happiness of others. Her favorite places to be at Gray and Sons are the front desk where she gets to converse with clients, whether it being to buy or sell their loved timepieces or sterling silver, diamonds, and jewelry, and the Jewelers area where she gets to see all jewelry repairs and cleaning of precious stones and diamonds. She is always readily available to learn new things at Gray and Sons and enjoys the company of the team members and clients. 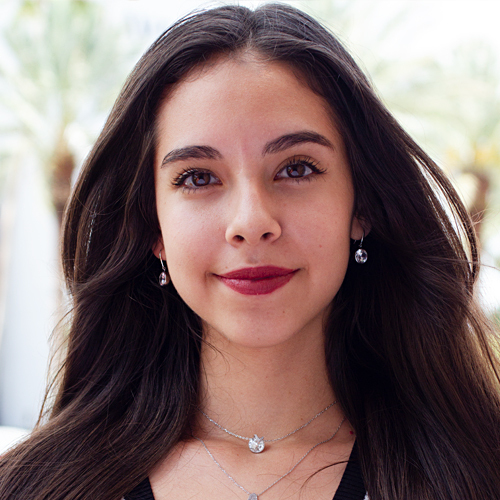 "Samantha’s favorite watch is the Cartier Demoiselle, because like her it is an elegant and high fashion timepiece"
Originally from Argentina, Patricio began working for Gray and Sons Jewelers a year ago, at the very end of senior year in Miami Beach Senior High. Since then, Patricio continues his studies at Florida International University for a Masters’ Degree in Architecture. 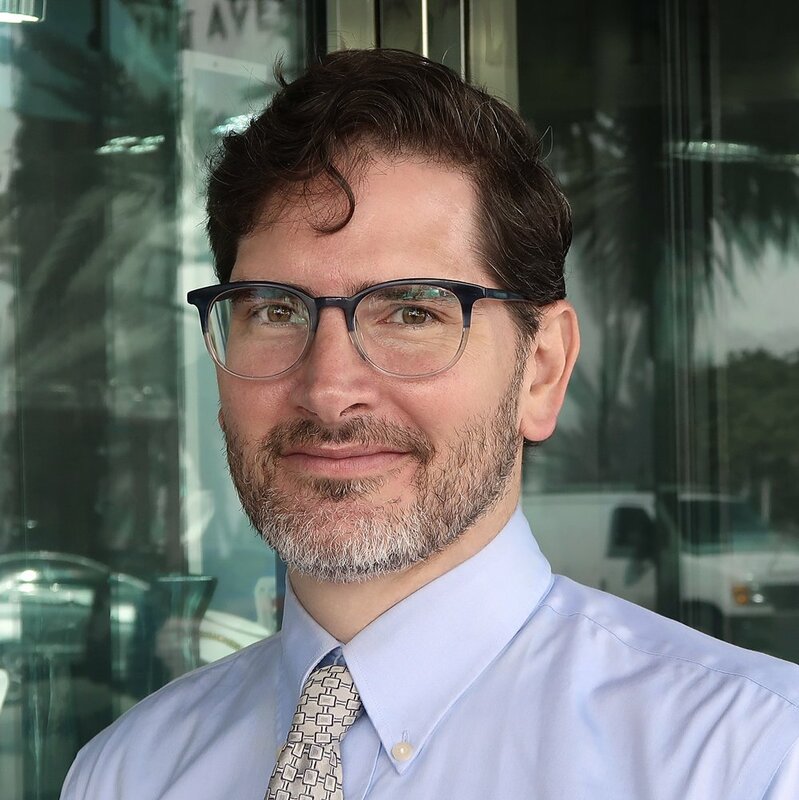 While studying Architecture at Florida International University, he continues to work part-time at Gray and Sons Jewelers. Patricio is reliable, trustworthy, courteous, and has learned a complex oracle inventory program, and outbound customer service calling. He is always committed to completing tasks with precision and excellence; this reflects his performance in school as well. Over time, Patricio learned the front office sales aspects of the jewelry and watch industry as well as the back office components of the business. Before working at Gray and Sons Jewelers, he knew nothing about luxury watches such as Rolex, Cartier, and Patek Philippe. He knew even less about high-end jewelry including brands like Tiffany and Co, Van Cleef, Chopard, and Bvlgari. 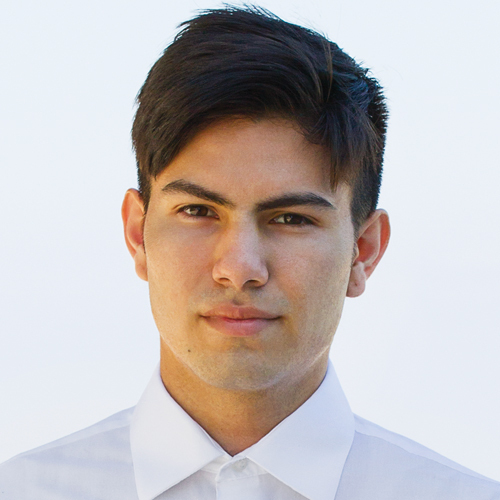 Now Patricio is on the sales floor, operates in-house stock items, manages descriptions on online inventory, shipping department, engages in customer transactions, makes outbound calls to instate and out of state customers wishing them Happy Birthday and Anniversary, and occasionally blogs for the catalog and website. Despite Patricio still being a student of the game, he is on the right path. Patricio speaks both English and Spanish. "Patricio favors Breitling over other watches because he likes their Auto Pilot theme." It was 1980 when we first opened our doors for business in Miami Beach, Florida. While a lot has changed since then, there are fundamental principles that have governed Gray & Sons since day one. Principles like offering only the highest quality merchandise coupled with the highest quality service all at a substantial discount, have helped us grow into what we are today.